Here’s more news about the fun and super-portable Nintendo 3DS. Nintendo and its 3rd party developers are really pushing to get quality games on all of its consoles. Ubisoft and Nintendo has been pretty busy lately, and you’ll find a couple of posts by yours truly here showing that. 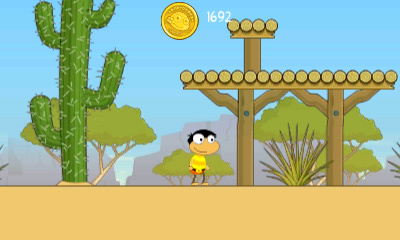 Poptropica looks like a fun and charming jaunt. Look below for more info. SAN FRANCISCO, CA — October 14, 2014 — Today, Ubisoft® announced that Poptropica®: Forgotten Islands, the adventure game based on the massively popular virtual world for kids, is now available for Nintendo 3DS™ system. The game is available at retail stores for $29.99 and is rated E for Everyone. Just in time for the holidays, fans can now embark on exciting quests in the ultimate on-the-go 3D Poptropica experience. Players will explore the vast, uncharted island chains of Poptropica, discovering the secrets of their past one artifact at a time and uncovering the truth to prevent a shadowy force from destroying the Forgotten Islands’ history forever! For the latest information on Poptropica: Forgotten Islands, please visit poptropica3ds.com. For the latest on all of Ubisoft’s games, please visit ubiblog.com. Uh oh, looks like the creepy and cute critters of PETZ Beach and PETZ Countryside are making their way to store shelves. These games aren’t really my cup o’ tea really, but who’s to say they aren’t for you? 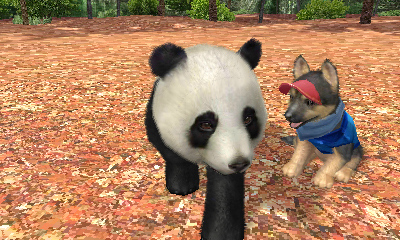 Blocky pandas haunt your dreams, er…inhabit the beach in these two games running wild in your local game store. Ugh…I’m writing about ‘pets at the beach’ games. What would Hunter think? Look below for the details from Ubisoft. You ate my bamboo didn’t you Mr. Barky pants? SAN FRANCISCO, CA — October 14, 2014 — Today, Ubisoft® announced that Petz® Beach and Petz® Countryside, the two latest entries in the popular pet simulation adventure game series for kids, are now available for Nintendo 3DS™ system, just in time for the holiday season. Both Petz Beach and Petz Countryside are rated E for Everyone, and are available in stores for $29.99 each. Players will embark on the ultimate adventure in two new vibrant locales where they can care for a variety of animals, complete exciting quests to expand their village and connect with other Petz owners. Through its partnership with Encyclopaedia Britannica®, Petz Beach and Petz Countryside incorporate learning throughout the journey. Please visit petz.com/beach and petz.com/countryside.